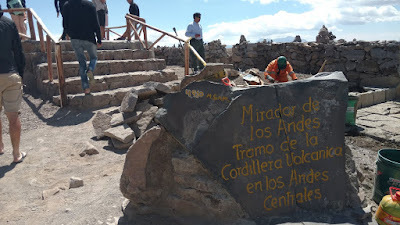 the upper left of the sign- "4,910 meters"
Though I've acclimated to slightly lower elevations of the Andes, at 4,910 meters it only takes a few steps before my lungs feel like they're inhaling fire. My oxygen deprived brain wonders if I'm transforming into a dragon. Some of my American friends are excitedly asking how many feet that translates to, while others are merely wondering what a "meter" is. 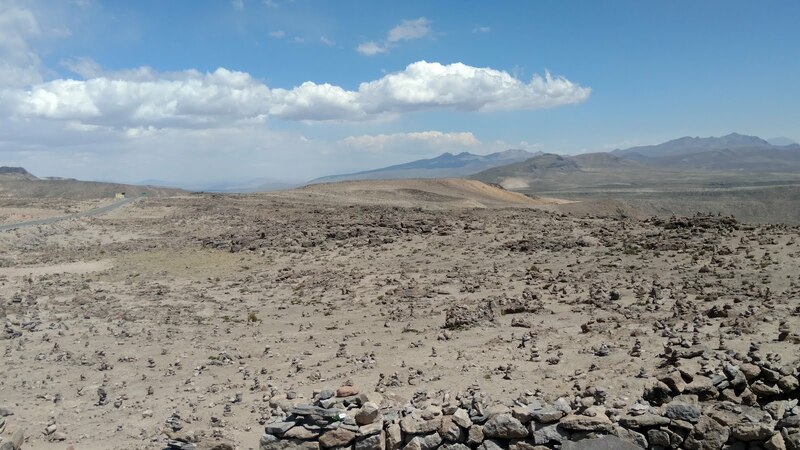 I dialed-up the Peruvian Scientific Society and asked if there's a way to convert 4,910 meters into feet, and the ominous reply came back, "There is, but it kill you." ... Peru is not the safest country. 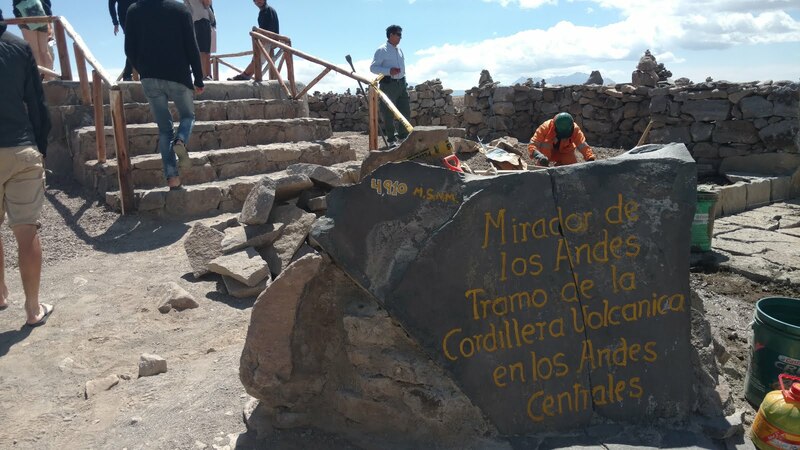 Someone later called me back and told me it had been calculated to be 16,109 feet ... Now, let's all hold a moment of silence. 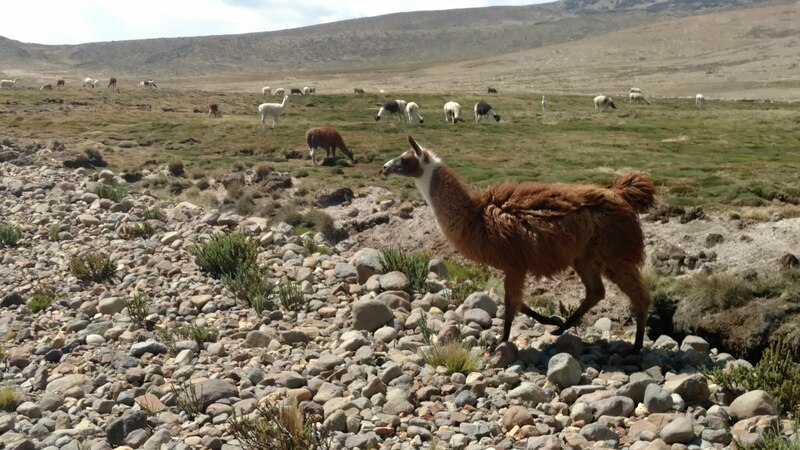 Soon after we come across a herd of llamas, the only domesticated/ farmed animal in the Americas of yesteryear. I walk amongst them, they seem un-disturbed, used to people. 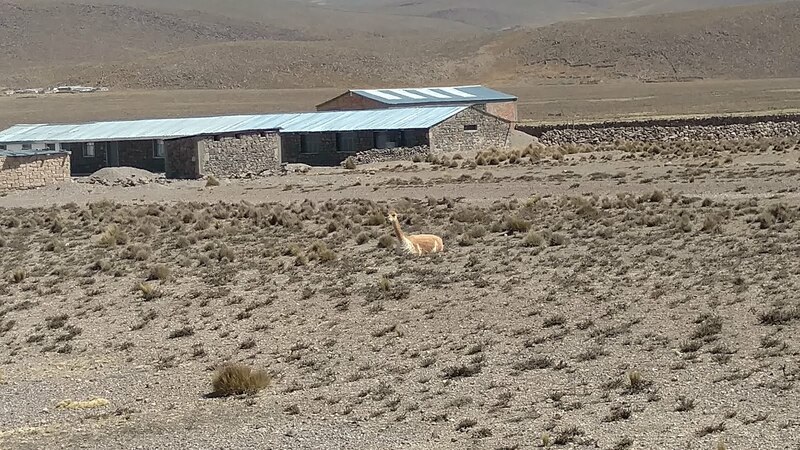 A short while later we spot a group of four wild vicuna, ancestor of the llama. A jacket made of vicuna wool costs in excess of $20,000, explaining why the animal was at one point nearly hunted to extinction. We're quite lucky to see them. 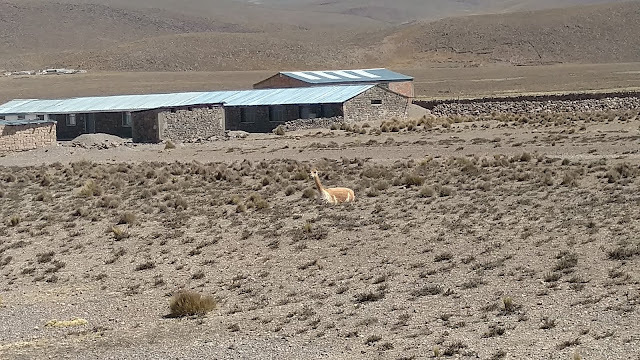 Today a program has been instituted where highland villages capture wild vicunas and sheer those whose wool has grown for two years (past a certain designated length.) Once shorn, the animal is released back into the wild, which has enabled the vicuna population to rebound. All that being said, being at these these wind swept, fire inhaling elevations was quite an experience, but not one I'm sad ended relatively quickly. It's unlikely I'll be ascending Mt. Everest.